Great quality, easy to clean sipper for children at great discount. 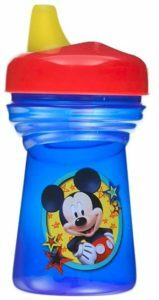 Buy The First Years Disney Soft Spout Sippy, Multicolor at Rs 108. Order now before the product goes out of stock. Hurry up. How to Buy The First Years Disney Soft Spout Sippy, Multicolor at Rs 108?